"The time for endless delay and obstruction has come to a close," the Senate majority leader said on the Senate floor. Senate Majority Leader Mitch McConnell on Monday slammed Democrats for "obstructing" and "delaying" Republican efforts to confirm Brett Kavanaugh and vowed that President Donald Trump's Supreme Court nominee would be voted on this week. In an impassioned speech on the Senate floor, the Kentucky Republican compared the Democrats' treatment of Kavanaugh to the tactics "back in McCarthy era" in the Senate, saying the minority party was using "character assassination" as a weapon against the high court nominee. 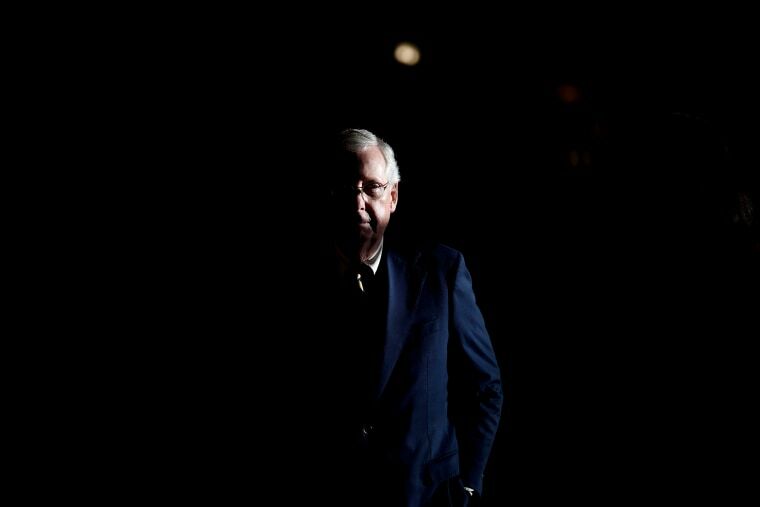 "In my judgment the pattern of behavior we've seen … confirms what Democrats have told us," McConnell said. "They are committed to delaying and obstructing and resisting this nomination with everything they’ve got." "That's not my supposition, that's their plan," he said, before announcing firmly that Republicans would vote on Kavanaugh imminently. "The time for endless delay and obstruction has come to a close," he said. "We'll be voting this week." Referring to Democratic demands that a hearing be held so the Senate Judiciary Committee could hear testimony from Kavanaugh and Christine Blasey Ford, who accused Kavanaugh of sexual assault, as well as a supplemental investigation by the FBI, McConnell slammed Democrats for repeatedly "moving the goal posts." "Soon enough the goal posts will be on the move once again," McConnell said, predicting that Democrats would make new demands after the FBI investigation is concluded, regardless of its findings. "I'd bet almost anything that after it runs it course in the next few days, we will then be treated to a lecture that anything short of a totally unbounded fishing expedition of indefinite duration is too limited or too arbitrary or somehow insufficient. We all know that's coming," he said. "Do these actions suggest it has ever been about finding the truth," McConnell said. "Does anyone believe that?" His Senate floor speech came just hours after Trump defended Kavanaugh during a White House press conference, saying his nominee had been treated "so viciously and violently" by Senate Democrats. Shortly after the president's remarks on Monday, a senior U.S. official and a separate source briefed on the matter confirmed that the White House has authorized the FBI to interview anyone it deems necessary for its investigation into Kavanaugh — as long as the review is finished by the end of the week. Sources familiar with the investigation told NBC News on Sunday that limits imposed by the White House counsel’s office on the FBI investigation had not changed.